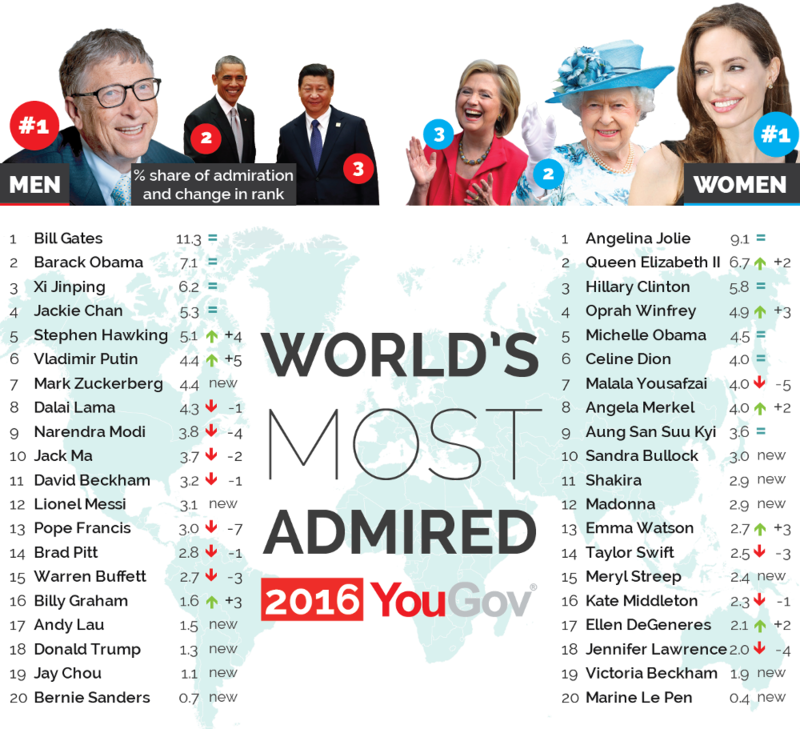 on May 9, 2016, 11:06 a.m.
Angelina Jolie and Bill Gates are the most admired man and woman in the world once again according to the latest YouGov World’s Most Admired study across 30 countries. It’s clear to see the power of humanitarianism is standing strong when it comes to world admiration in 2016. Hollywood beauty and human rights activist Jolie reigns supreme for the second year running both globally and in the UAE, Saudi Arabia and Egypt. Meanwhile internet tycoon and notorious charity and foundation supporter Gates leads share of admiration in the world overall for the third consecutive year since the study launched in 2014. The rest of YouGov’s third World’s Most Admired results tells a story of movement further down the ranks in 2016 as Stephen Hawking and Vladimir Putin push Narendra Modi and Pope Francis out of the men's top ranks. Queen Elizabeth II takes Malala Yousafzai's place as the world's second most admired woman – the longest reigning monarch places in the top five in 17 countries overall. Thanks in part to a rise from 9th place to 4th in China, which makes up almost a third of the population of the 30 countries polled, Russian President Vladimir Putin is the biggest riser since 2015, moving from 11th to 5th overall. Stephen Hawking, boosted by box office hit biopic The Theory of Everything, rises to 5th place from 9th worldwide. Taking local figures out of the picture Putin also ranks highly in Egypt, Saudi Arabia and Morocco. The biggest fallers on the male side compared to last year are Indian Prime Minister Narendra Modi, who was likely riding high in 2015 during his first year in the post, and Pope Francis – the biggest mover of all, who drops from sixth to 13th. 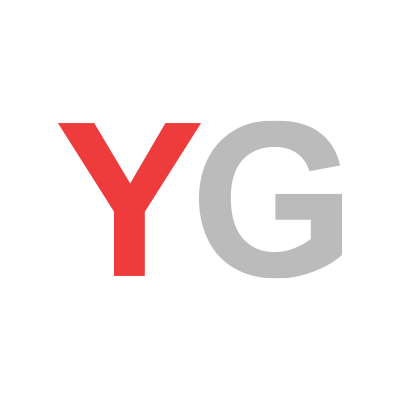 In December YouGov gathered open-ended nominations from panellists across 30 countries, asking them simply: “Thinking about people alive in the world today, which [man or woman] do you most admire?” These nominations were then used to compile a list of the 20 men and 20 women who received the most nominations and were nominated in at least 2 countries. An additional 10 popular local figures were added to the lists for individual countries.